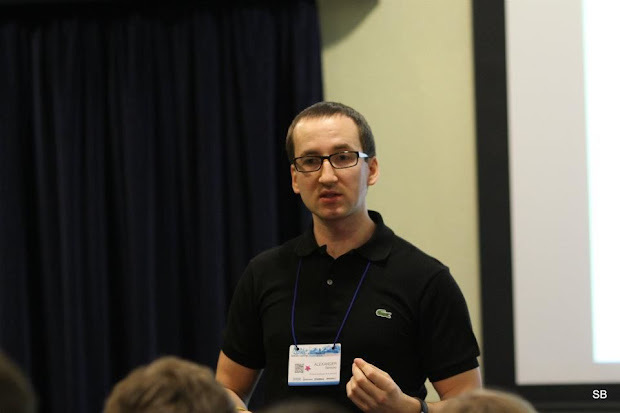 Past Saturday I was a part of big Ukrainian event Agile Base Camp: From Idea to Product. It’s been organized by ScrumGuides, pioneers on Agile in Ukraine and organizers of famous Agilee series of conferences. The conference named “From Idea to Product” and focused on product development issues. There was 3 stages there: Main, XP, UX. Main is for more or less common topics as budgeting, motivation etc.. XP is practical stage for developers and UX for user experience engineers. The program of conference was really interesting, but I spend all my day on XP stage (no surprise). There were great speeches by Dmytro Mindra, Sergey Kalinets. Probably most valuable for me were ones by Vitaliy Stakhov and Anatoly Kolesnik, Vitaliy shared Hypermedia concepts of RESTfull systems and that looks very promising. Anatoly did great NoSQL introduction that is very actual at the moment. I also enjoyed Dmitry Efimenko speech about testing in product company. He did it in quite tough style, so crowd was a little shocked and kept silence till the last words. I got some interesting points for myself. I did a talk about - Continues Delivery / Deployment / Production. This practical field is very interesting to me not only because I’m trying to build a product for that and I want to adapt for all project I work to. I’ve got very nice feedback and questions after my speech, totally collected 15 donuts (a special cards that listeners give to speaker if they like the speech), so I was quite happy about. If you interested, here is my slides on speaker deck. I really much enjoyed after party and evening we spent in Work’N’Roll, the co-working office of ScrumGuides. Appreciate organizers for that job and wish you good luck of all next events.